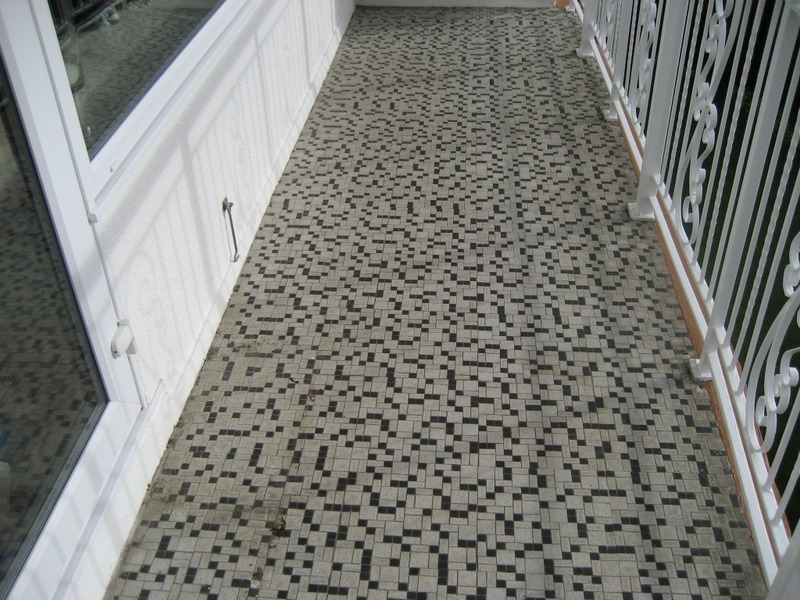 This polished Marble tiled floor was installed in a house in the old market town of Petersfield. 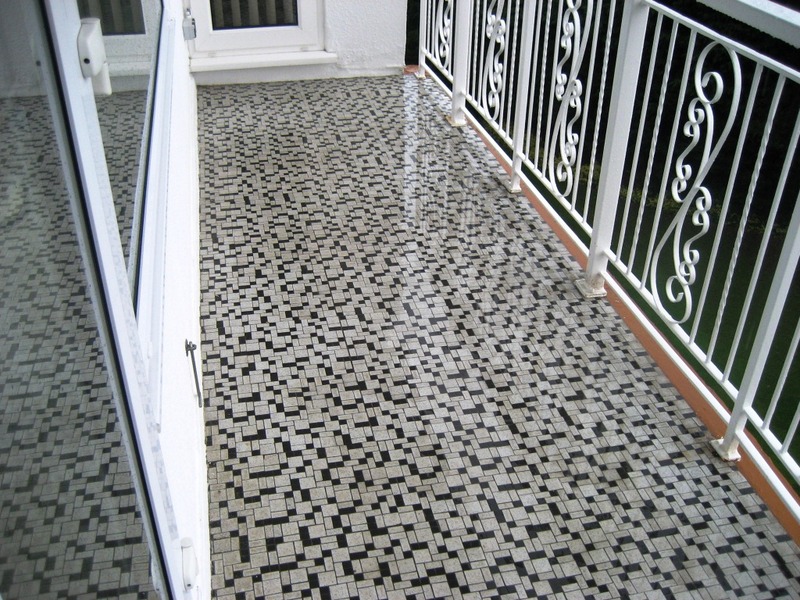 The tile and grout was in good condition but like all polished stone floors they will go dull after a period of time and require burnishing and polishing to restore shine. 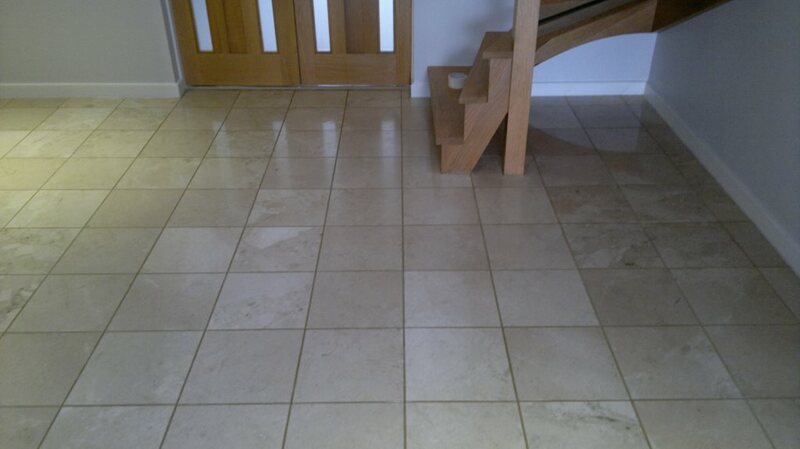 We gave the floor a quick sweep and wash down with a dilution of Tile Doctor Pro-Clean partly to ensure any surface grit etc. 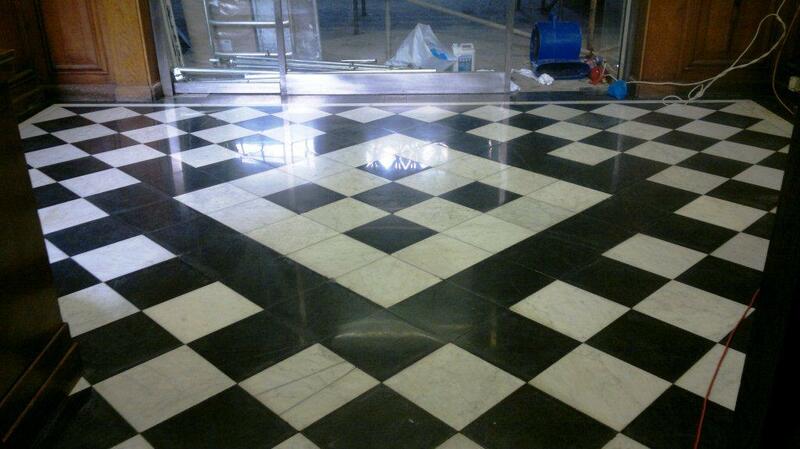 was removed but also so we could get a stiff grout brush in along the grout lines and give them a clean. 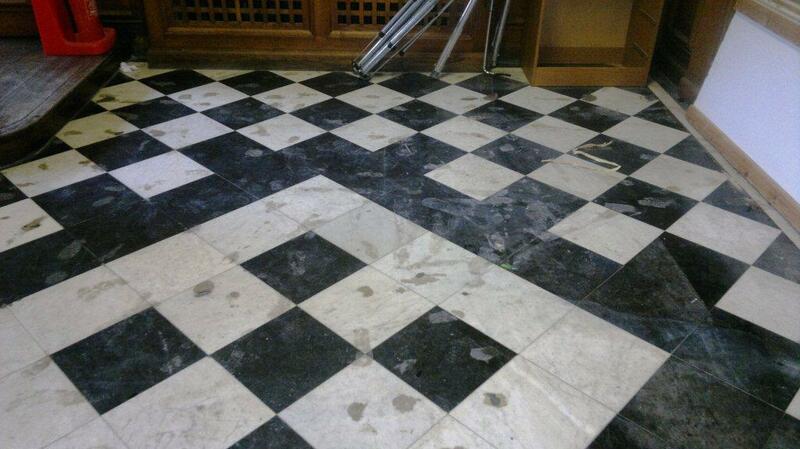 Once done the floor was rinsed down with water which was removed with a wet vacuum, once done we moved straight onto burnishing the floor to restore the polish. Burnishing requires the application of a little water so there was no need to wait for it to dry. 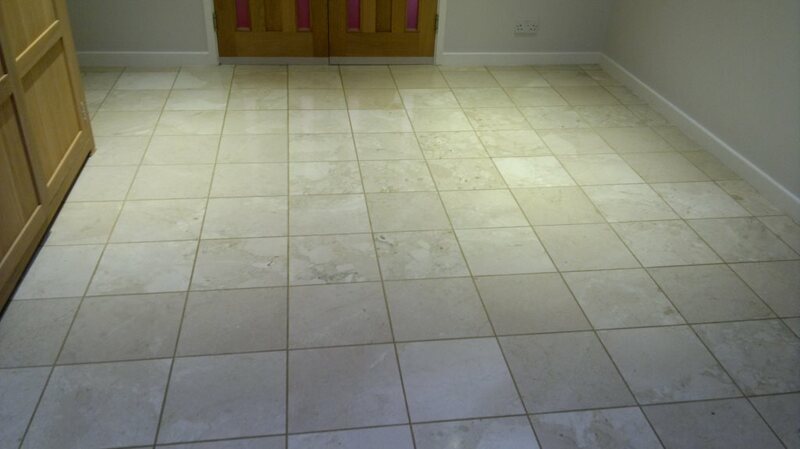 Burnishing requires the application of four different diamond encrusted graded pads in sequence working from coarse which removed old sealers and dirt through to medium, fine and super fine pads which build up the polish on the floor. The floor requires a rinse in-between each pad to remove any slurry and water is extracted from the floor using the wet vacuum, after the super fine pad we removed as much water from the floor as possible and left it to dry overnight ready for sealing the next day. 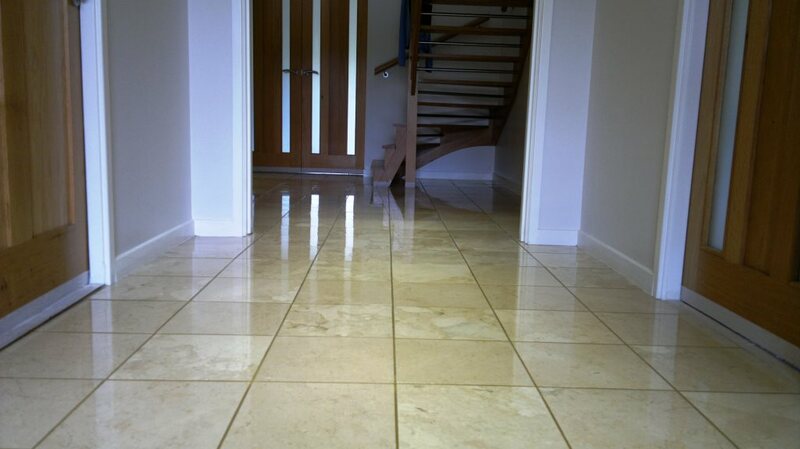 On our return the next day we made sure the floor was dry with the use of a damp meter and once we were happy we sealed the Marble tiles using two coats of Tile Doctor Colour Grow which is an impregnating sealer the occupied the pores in the tile to prevent other contaminates soaking into the tile. 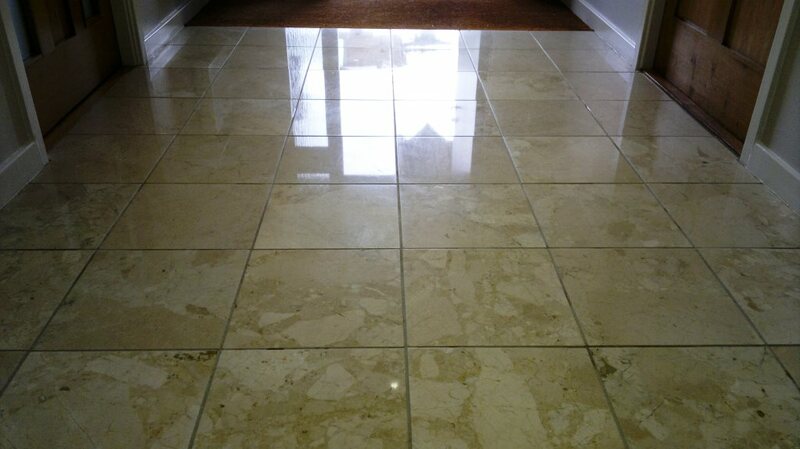 It also does a nice job of lifting the natural colours in the stone and enhancing the look of the tile.